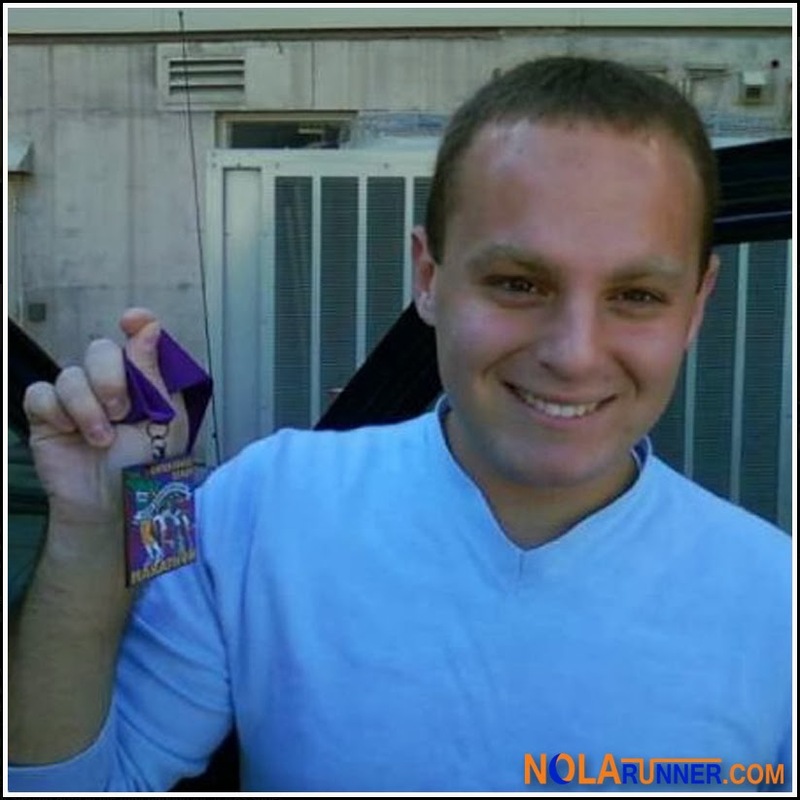 Last week in my December preview, I alluded to the fact that this Saturday's Baton Rouge Beach Marathon is a special race. 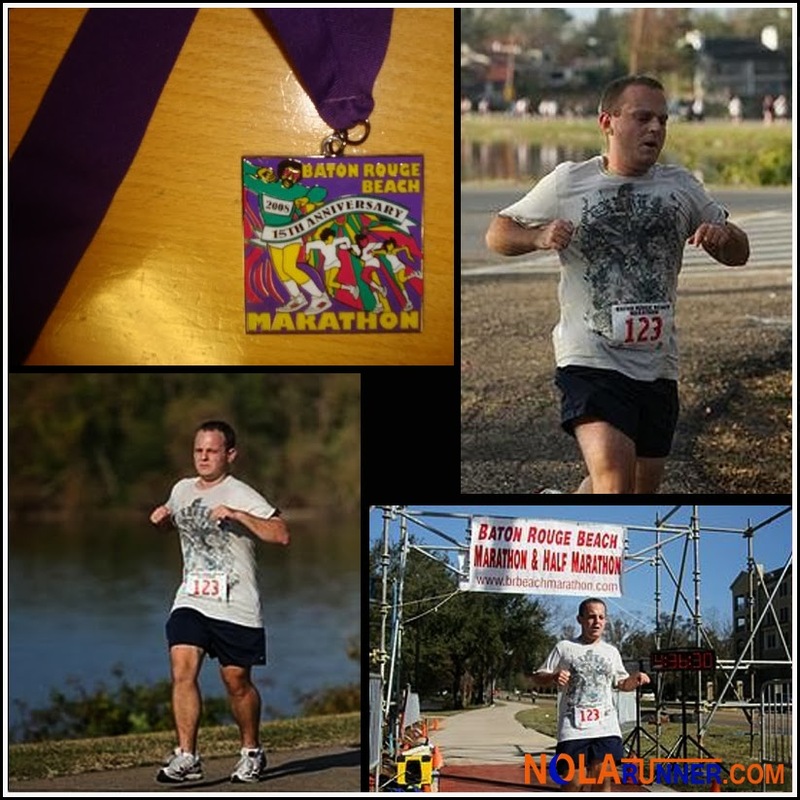 In December of 2008, this race was my first full marathon. I was under trained, but determined to finish. That I did, and have been running 26.2 ever since. 1) Winning isn't everything. Setting a goal and attaining that goal is what's most important. Be it one marathon, 30 marathons, or one in every state, getting to that finish line is what it's all about. 2) The people that you befriend while training for a marathon are the ones you want to keep around. The friends you have before starting the challenge, and stick with you through the finish line, are the kind you will have for a lifetime. Nothing tests a relationship more than training for a distance race. Early nights and even earlier mornings, weekend long runs, and conversations that center around how many miles you've logged are enough to alienate anybody. Putting up with that for a training cycle (much less 30) warrants sainthood. 3) A five dollar piece of aluminum hanging from a ribbon can hold more value than precious metals. Like giant Mardi Gras beads strung around your neck at a parade, it's a highly visible souvenir that reminds you and others that "I did it!" Unlike beads, however, you'll want to keep it long after Ash Wednesday. 4) Traveling for pleasure doesn't always mean that you're getting R&R. In the past five years, I can't recall a single trip without a race scheduled. However, there's no better way to see a city than to run a race in that city. Courses are designed to highlight landmarks and must-see attractions. Plus, nothing beats walking around town wearing a giant medal around your neck, not worrying about seeing someone you know. 5) Post run drinking is more fun and cheaper. In NOLA, everyone knows you run a race to get to the after party beer truck. It's a way of life. Personally, it doesn't take much for me to feel the effects of adult libations. My mother found out on Thanksgiving that I'm a lightweight, and that after running 5 miles that morning, two glasses of wine was enough to get me through a long dinner with extended family. No TUNESday is complete without my song selection for the week. Today, I'm taking it back five years to the song that I vividly remember playing on my iPod shuffle as I crossed that first finish line. "Shake It" seems oddly appropriate to listen to in those final miles, and Metrostation's stint at the top of the charts lasted for about as long. Before you check out the music video for "Shake It" below, does anyone else find it funny that Miley Cyrus now has the same haircut her brother had in 2008?